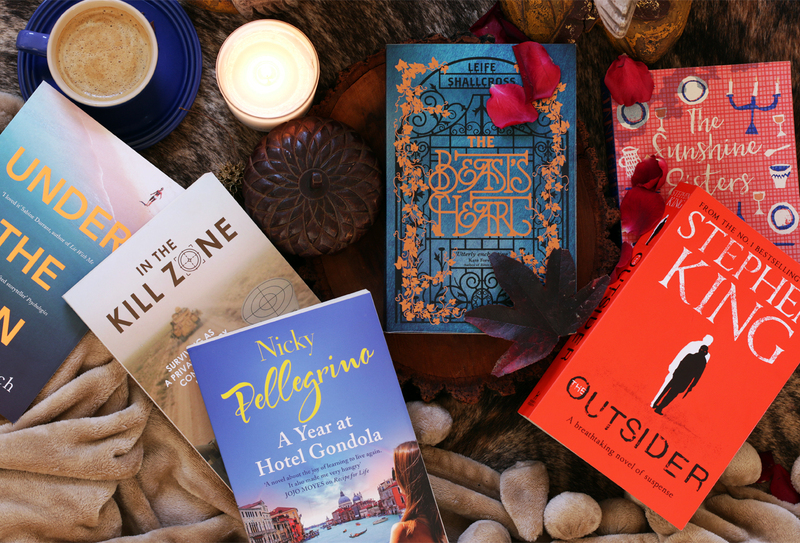 Now that I’ve got you feeling all cozy on the inside… I want to share a few fab books to indulge in this winter. This book is a must for any fan of magical fairytales! This time the story of Beauty and the Beast is retold from the Beast’s perspective. Before we move on, just know that The Beast’s Heart, while based on the tale as old as time is very different to the classic story of Beauty and the Beast! And I like that the author has put her own spin on it; created her own version and introduced her own set of characters, which keeps the story unique and unexpected. Bell is called Isabeau, and it’s not that she yearns for more than this provincial life as in the original story, but her father was once a wealthy investor, who lost his fortune and had to move his family – Isabeau and her two sisters to small cottage in the village – far away from the riches of the city of Rouen where they lived before. Isabeau, unlike Bell isn’t a major book worm, but rather into her music, and prefers to spend her time listening to the Beast read to her. I can’t help but keep going back the original story of Beauty and the Beast when reviewing this book, but let’s just say it’s similar yet different! The Rose in The Beast’s Heart has a completely different significance, as does the Beast’s mirror. The Beast lives in an enchanted Chateaux rather than a castle, and the magic that poses the curse hasn’t turned his servants into furniture or crockery, rather the house is enchanted, doing the work of servants without any actual people or things.. 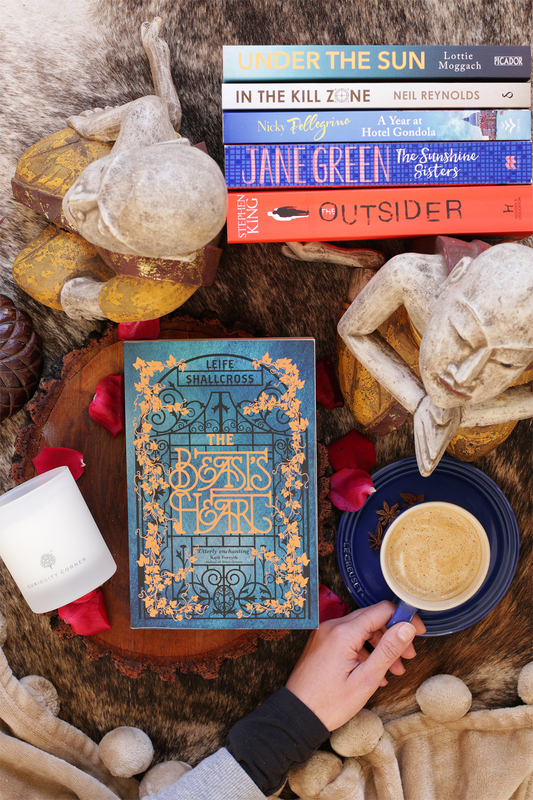 The Beast’s Heart is beautifully written, with old, charming words that allow you to escape into the magical fairytale, and honestly, I’ve been looking for a book as beautiful as this one for a long, long time! From the exquisite cover (I mean, look at the indulgent pleasures of that image, complete with foiled ivy surrounding the Beast’s Chateaux), to the wonderful words, this book offers an escape into a land of magic and it is really worth reading. I found it perfect to cozy up with this little treasure, in front of the fireplace – which for me, further enhanced my escape into this wonderfully, re-told story. I have to confess, I love Nicky Pellegrino! I’ve been dreaming of Venice since I was about 10 years old, and it’s a city that is still ranking number one on my travel bucket list! Through the pages of Pellegrino’s books (this is my second, the first one was One Summer in Venice), I’ve felt myself transported to the magical city on the water. I’ve felt as though I’ve walked the mazed streets, even drifted in a gondola along the canal. What Pellegrino adds to my fantasy travels though, is that she gives me a taste of the food! It was even Pellegrino that started my love affair with Prosecco! 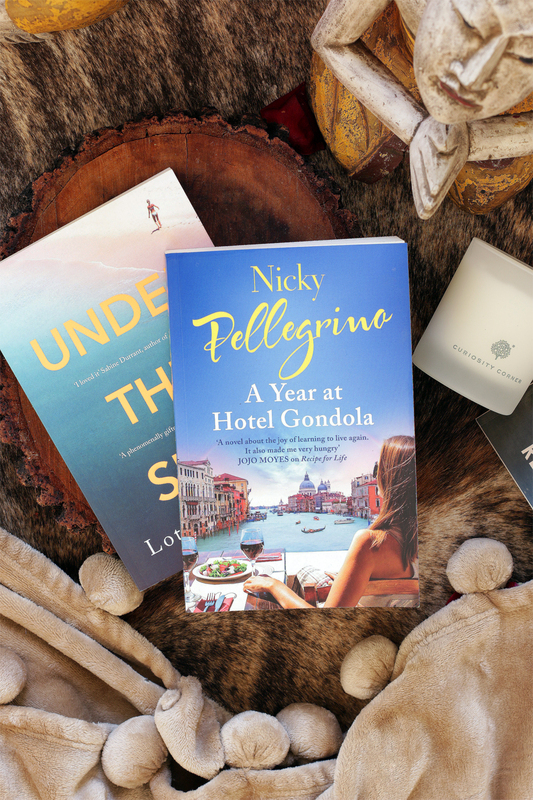 In her latest novel, A Year at Hotel Gondola, Pellagrino’s pages once again come to life with vivid settings that let you experience the surroundings, but her talent for describing food takes you on the journey with all your senses! I wouldn’t suggest reading this book before bed though, because your tummy will rumble and you’ll find it hard not to get up and silence the craving. Even though my “shut up hunger” fixes were nothing like the culinary delights she let me taste in this book. The story follows Kat, a middle aged food writer and somewhat TV celeb. In all her years, globe hopping and tasting foods from every kitchen and every culture, her mother’s words, that she’s “running out of time”, sends her on a mission to embark on a different kind of adventure… A Relationship. The story is entirely based in Venice and along the way Kat meets a range of interesting characters during her stay. Now, you know I don’t like to give anything away (as I want you to enjoy reading the story for yourself), but let’s just say it’s a great read that has an enjoyable plot, and one that will definitely leave you hungry for Venice! An easy read about relationships, family, loss, love, acceptance, finding yourself and losing yourself all in one book! I quite enjoyed this novel by Jane Green, The Sunshine Sisters that focuses on three sisters, all very different in their looks and personalities. The one thing they do have in common, is having grown up with a mother who was far too concerned in her own fame and own life that she left them feeling less than loved. The sisters are not only estranged from their mother, but from each other as well. Now, with the famous and always glamorous Ronnie Sunshine on death’s door, she want’s nothing more than to have her girls unite. Diagnosed with ALS, Ronnie who has lived a narcissistic, successful and show stopping life, want’s to take control of her exit too! And she wants her girls to help her take her own life! The story dips into different timelines in each of the sister’s lives, building their character so you can get a sense for how they feel towards their mother and each other. Is blood thicker than water? Well, that my dear readers, I’ll leave up to you do discover! 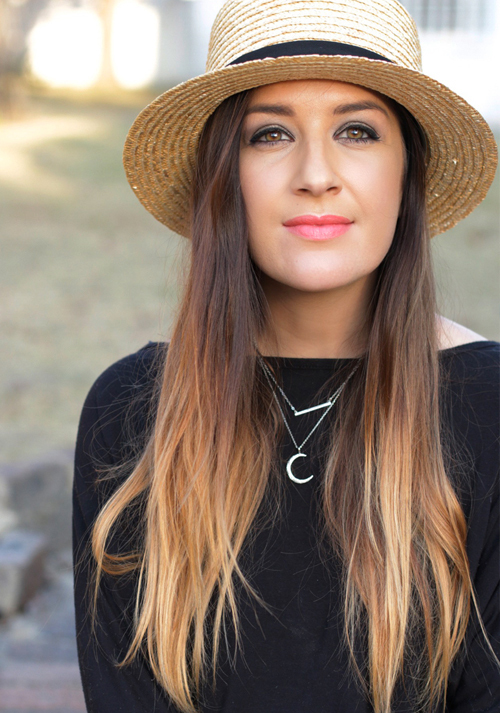 The last of the chick-lits, a book set in the South of Spain by author Lottie Moggach. While I enjoyed Under the Sun and found it to be a pleasant weekend read, I thought it would have been something more of travel tale of an expat living abroad – in a lovely European village, rather than a story about a character who I honestly didn’t like very much at all. Anna is needy and selfish and I do feel bad for her Perfect Spanish Romance breaking up the way it did, but the deeper you get into the story the more I realised I didn’t like her. Maybe I liked her in the beginning, and I felt bad for her (honestly), but later on she just struck me as self absorbed! In a nutshell, Anna moves to Spain with her super annoying, good for nothing, know it all boyfriend and they set up home in a fabulous Finca. She’s basically put her whole life’s savings into creating their dream, but that’s not enough for the high and mighty Michael. When he leaves her (early on in the story – so I’m not giving too much away), she’s forced to move out and considers a rental proposal that takes the story deeper. I’ll leave it at that! Definitely worth a read if you’re looking for something to escape into, but don’t let the cover fool you! It’s not a summer romance read, although I am glad it was less about an expats new found love in a dreamy European village and more about the struggles that could happen along the way. 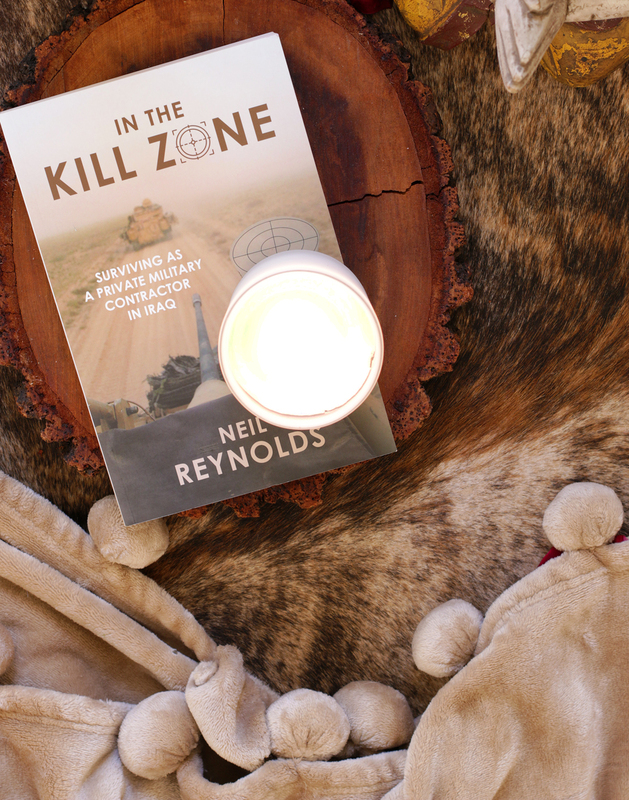 [Hubby’s Review] In The Kill Zone by Neil Reynolds is a non-fiction book about his time as a private military contractor in Iraq. Reynolds gives a concise matter-of-fact account of his experience in setting up and running a private military-contracting company. All the way from initially smuggling themselves into the country, to dealing with black-market weapons dealers, right through to landing major legitimate US military contracts. Reynolds explains how their low-profile approach, which he learned from his experience in the notorious 31 Battalion Reconnaissance wing, was one of the greatest contributors to their survival and success. Anyone who is interested in military and spy history will surely love this book. It was interesting to read an insiders account of events that we were all exposed to in the Media. Reynolds tells the story in a very personal and easy to read style. If he decides to write another book about his earlier exploits in the SANDF it will definitely be on my “to read” list! [Hubby’s Review] For the first half of the book, The Outsider reads like a good old fashioned legal / detective thriller, and you are half expecting it to come to a “normal” logical conclusion. I knew from the outset that I was reading a Stephen King novel, but he weaved the inexplicable into the story in such a way, that much like the story’s detective Ralph Anderson, only way into the second half of the book did I stop looking for a logical explanation that fits with my world view, and start accepting the paranormal framework of the story. This is my first King read in a long time, but as typical of a Stephen King novel it was not easy to put down. It cost me the better part of a Sunday, in fact my WHOLE Sunday, but it was worth it! 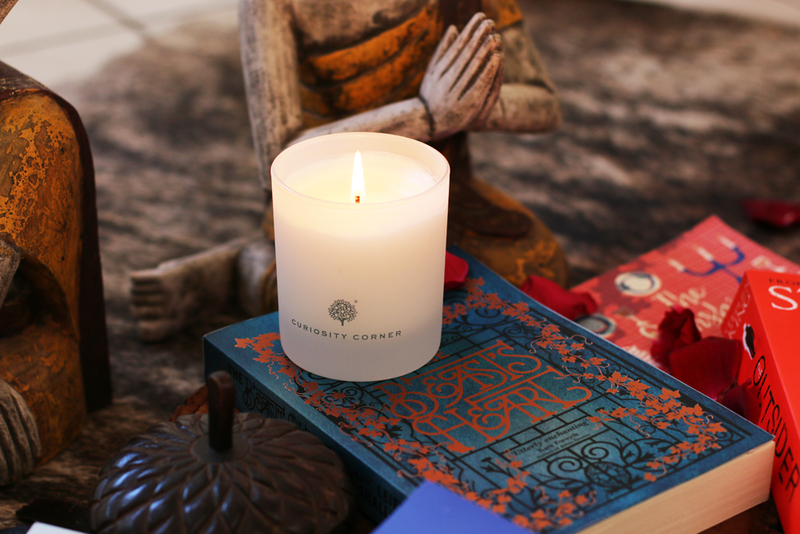 So, I’ve nailed down some great winter indulgences in terms of books, but another absolute winter indulgence for me is scented candles! Did you know Crabtree & Evelyn do fabulous home fragrances as well? Their candles are my favourite, but they also have lovely diffusers too. Anyways, I’ve been indulging my book reading pleasures with this lovely scent, Curiosity Corner that has the most beautiful smell! It smells like smoked wood and gives you that perfect aroma of “sitting by the fireplace” even if you’re not! If you’re looking for something to boost your cozy mood, give this scented candle a whiff!